Home » Thoroughbred Racing Productions uses CatDV to manage and secure its extensive back catalogue. Canberra, May 2013 – DAMsmart, Australia’s leading specialist audiovisual digitisation, management and access solution provider has recently completed the commissioning of Thoroughbred Racing Production’s (TRP) first Media Asset Management system. 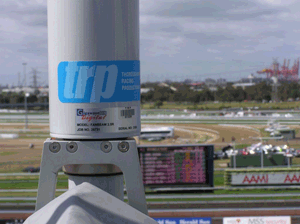 TRP provides exclusive production services to the Victorian Racing Industry, producing broadcasts for more than 525 thoroughbred race meetings across Victoria. 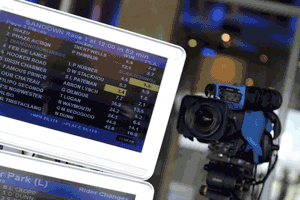 The broadcasts are provided to ThoroughVision, Free-To-Air and other subscription channels in both Australia and overseas, to on-course patrons and importantly, the Stipendiary Stewards who mange the integrity of racing. TRP went to market in late 2012 with a competitive tender seeking a solution for the storage and management of its digital video collection, which resulted in the appointment of DAMsmart as the preferred solution partner. DAMsmart proposed a comprehensive digital video archive management solution using CatDV Enterprise Media Asset Management software, from UK based company Squarebox, for collection access and control. The MAM application was integrated with Storage DNA Evolution LTO/LTFS archiving software, configured with an LTO5 library for storage of the high-resolution files. Charles Cole commented, “We considered a range of options, including the cloud, and for us the DAMsmart solution made sense. CatDV suited the organisation perfectly. It is an enterprise-level application without the complexities of other applications that are focused on servicing large-scale broadcast environments. CatDV allows us to link our complex and extensive racing metadata with individual races enabling robust search functions. It is intuitive and customisable which was an important consideration as we have a range of system users, all with very different requirements. The web client enables remote access for both the Stewards for race assessment and the OB vans for offsite content management tasks. Prior to commissioning the system, DAMsmart worked closely with all stakeholders in the organisation to identify user profiles and collate an accurate description of their needs. After commissioning, DAMsmart has continued to work with TRP to refine system workflows and tailor functions as users become more familiar with the system and its capabilities. DAMsmart, working with the Australian distributors of CatDV and Storage DNA, Blonde Robot, has provided training for the system, and provides ongoing support for the various stakeholders in the organisation. Joe Kelly, General Manager at DAMsmart, said, “This was a really exciting project for DAMsmart as we are focused on making content accessible for today, and tomorrow. As the leading Australian provider of AV digitisation services, we know that digitising content is only part of the job. Managing digital media, either as a result of digitisation of legacy archives or born-digital content, is key to maximising the value of the asset. We have been working closely with our partners Storage DNA and CatDV to configure systems to suit a broad range of applications that are both economical and practical. Now that the MAM system is commissioned, DAMsmart has commenced work with TRP to digitise its existing legacy videotape collection. 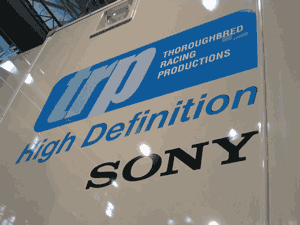 Images in this case study are owned by Thoroughbred Racing Productions (Victoria) Pty Ltd. The DAMsmart logo is owned by DAMsmart.